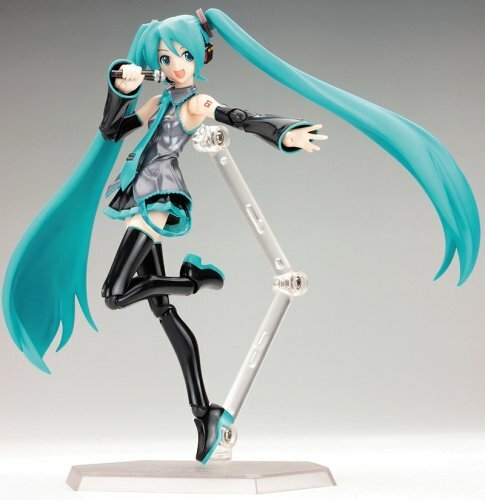 From a singing synthesizer application and manga maker Hikoshiki Hatsune Mix, this is Vocaloid : Hatsune Miku Figma Action Figure . Using the smooth yet poseable joints of figma, you can act out various scenes. A flexible plastic is used for areas such as the blazer and skirt, allowing proportions to be kept, without compromising posability. 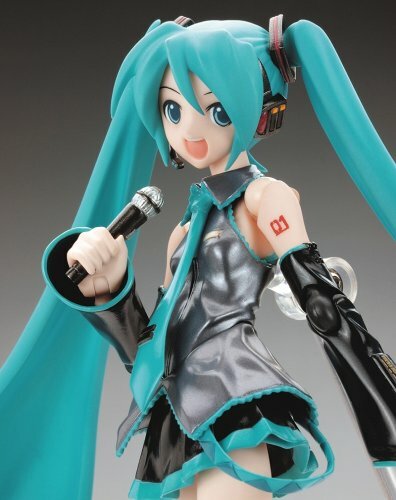 Miku comes with extra hands and face parts for different poses and accessories true to her. 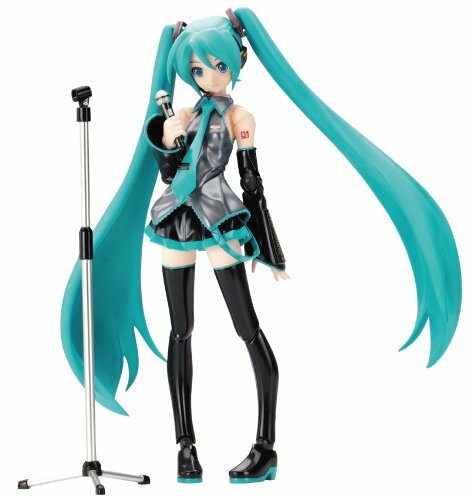 A mic stand, and 2 leeks that her fans know so well just for added fun. 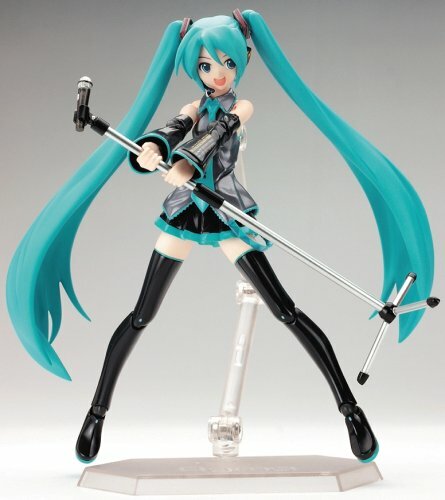 Hatsune Miku (初音 ミク) is the first installment in the Vocaloid Character Voice Series released on August 31, 2007. 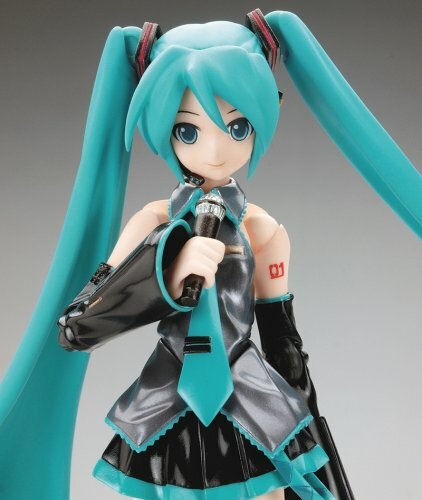 The name of the title and the character of the software was chosen by combining Hatsu, Ne, and Miku. The data for the voice was created by actually sampling the voice of Saki Fujita, a Japanese voice actress. Unlike general purpose speech synthesizers, the software is tuned to create J-pop songs commonly heard in anime, but it is possible to create songs from other genres. 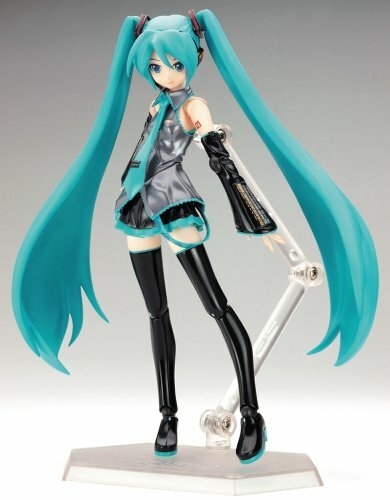 A Hatsune Miku manga called Maker Hikoshiki Hatsune Mix will begin serialization in the Japanese manga magazine Comic Rush on November 26, 2007, published by Jive. The manga will be drawn by Kei, the original character designer for Hatsune Miku.